Posted on 3, February 2016 by EuropaWire PR Editors | This entry was posted in Germany, Security & Safety, Technology, Telecom and tagged "Telekom Security", Deutsche Telekom, Dr. Ferri Abolhassan. Bookmark the permalink. BONN, 03-Feb-2016 — /EuropaWire/ — Deutsche Telekom is planning to grow further via security solutions. To this end, the company plans to establish a new business unit, “Telekom Security.” In a presentation made today in Bonn, Dr. Ferri Abolhassan, Managing Director ofT-Systems‘ IT Division and responsible for building the new unit, outlined the new unit’s key aspects, working approach and planned new products. 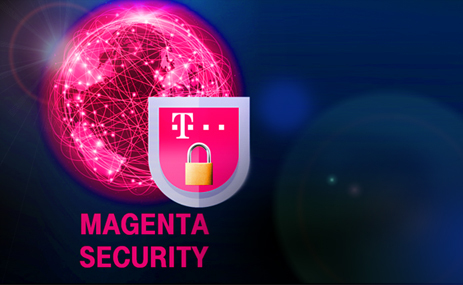 “Telekom Security” products will be marketed under the “Magenta Security” product-family brand. In calling attention to such new products in the Magenta Security portfolio, Abolhassan focused especially on the upcoming CeBIT 2016 exhibition, which is scheduled for mid-March in Hanover. At CeBIT, the company plans to introduce security innovations in all three main customer segments – consumers, business and corporate customers. The new products will become available by summer 2016 at the latest. Examples include a cloud-based Magenta Security solution for the fixed network, a solution for smartphones, and a plug and play (PnP) network-encryption solution for SMEs. “The central idea behind all of these solutions is that we need to make security easy, i.e. easy to use and easy to understand,” Abolhassan explained. All products will thus be tested in light of this key idea, he added. “In short, we want to make life a little easier for our customers,” Abolhassan said. Telekom Security is to be formally established on April 1, 2016, and the new organization will officially launch its operations, as a business unit, on January 1, 2017. The new unit will consolidate the security departments from the different Group units, thereby enhancing Deutsche Telekom’s efficiency and effectiveness in the market for cyber security solutions. At the same time, the Group plans to strengthen its own internal security even further by capitalizing on the resulting synergies. Deutsche Telekom is one of the world’s leading integrated telecommunications companies, with around 151 million mobile customers, 30 million fixed-network lines and more than 17 million broadband lines (as of December 31, 2014). The Group provides fixed-network, mobile communications, Internet and IPTV products and services for consumers, and ICT solutions for business customers and corporate customers. Deutsche Telekom is present in more than 50 countries and has approximately 228,000 employees worldwide. The Group generated revenues of 62.7 billion euros in the 2014 financial year – more than 60 percent of it outside Germany. The new business unit, “Telekom Security”, provides security solutions, which will be marketed under the “Magenta Security” product-family brand.